8.5″x11″. 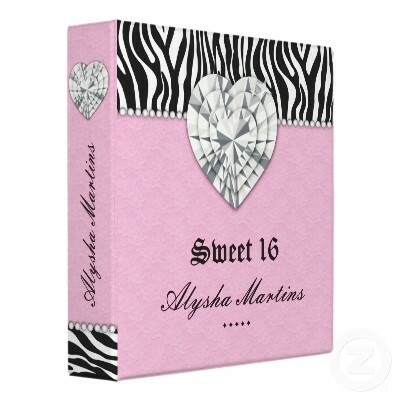 Fun birthday / Valentine / school binder with pretty jewels and lace and Zebra animal print. Makes a great love memories book, appointment book, or portfolio for a jewelry maker. Create eye-catching Avery Custom Signature Binders for home or office. Design unique wedding albums, recipe books and photo albums. Showcase your business with custom client binders, proposals and reports. 3-Ring binders include full-bleed, photo-quality printing on the front, back and spine, and 4 pockets. The Avery Signature 1.5” Binder comes in two different ring types.